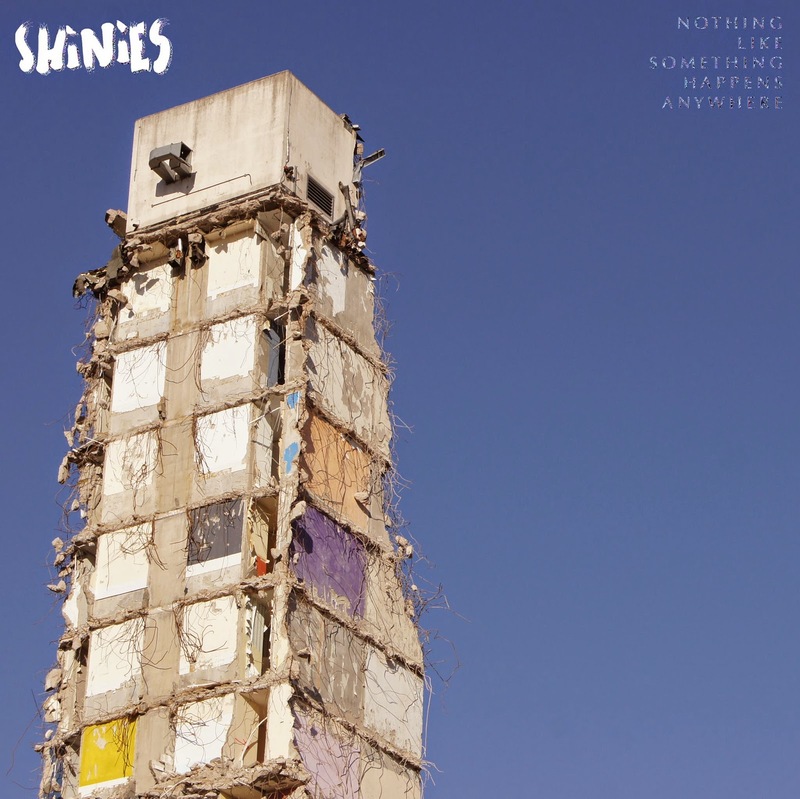 Shinies have been around for 3 or 4 years now, releasing a steady stream of singles and eps over the years. Hailing from Manchester, they have unfortunately been tagged with the shoegazer label. On the strength of this their debut long player, there is a lot more to them than that label suggests. Pigeonholing might suit some people. Music journalists mostly who can't be bothered to really listen. Give a band a label. That'll do. Except, it doesn't do a band like Shinies justice. Nothing Like Something Happens Anywhere (a line taken from a Philip Larkin poem) is a delightful collection of soundscapes. Opening with the short intro track Pomona, there's a feel of Breaking Into Heaven with subtle, multi tracked guitars creating a swirling, soothing wall of sound. The tempo is increased with the arrival of the title track. It's an immediatly infectious pop tune, again awash with some fine guitar sounds and driven along by a pounding rhythm section. De C reminds me of Sister-era Sonic Youth. High praise indeed. Beached has more of a commercial appeal and is another big pop number before the more subdued Soak. Waves benefits from an extended outro, filled with some glorious feedback. 6s and 7s gives another nod to the Roses, just like opener Pomona. Superbly produced by MJ of Hookworms, Nothing Like Something Happens Anywhere is a promising, well crafted collection of songs. Shinies' official website can be found here. They are on Facebook and Twitter.